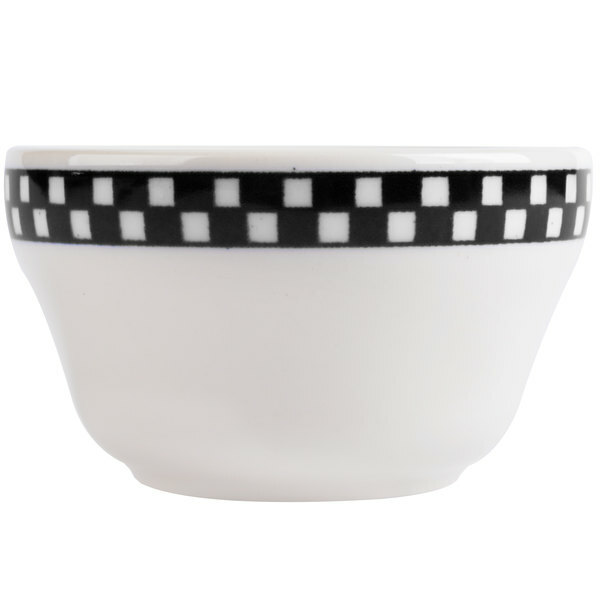 Bring a sentimental feel to your tabletop display with this Homer Laughlin 1011636 Black Checkers 7.25 oz. 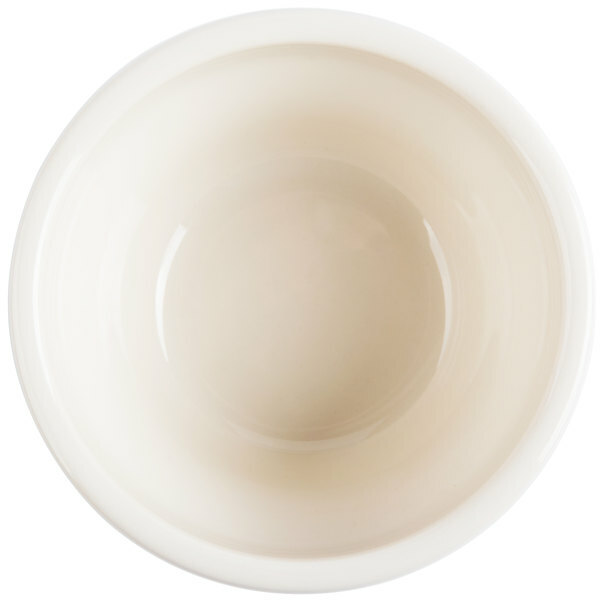 ivory unhandled bouillon cup! 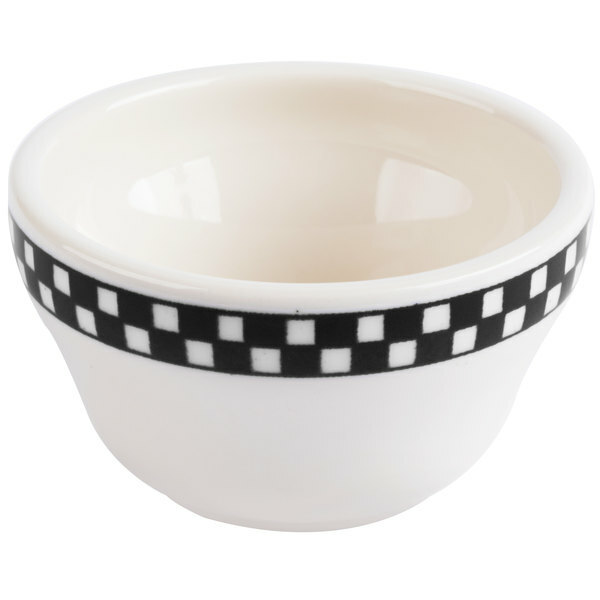 A perfect addition to themed restaurants, bistros, diners, and creative catered events, this cup combines an old-fashioned, checkered rim with a creamy, ivory body that will make your colorful dishes pop. 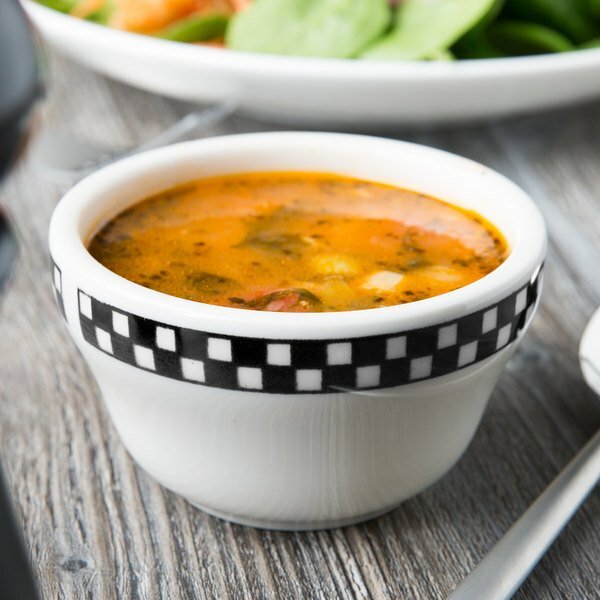 While its black-colored edge helps frame your signature soup and sides, its strong, china construction is resistant to breakage, chipping, and scratches to withstand the wear and tear of everyday use. Plus, it has superior heat retention, allowing you to keep your hot foods warm for a longer period of time. With its simple yet attractive design, this cup is sure to have your guests reminiscing about the good old days. 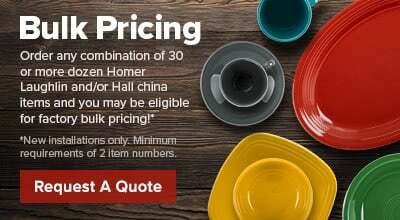 Making quality china since 1871, Homer Laughlin designs stylish products that are built to last. Each item is fully vitrified to prevent moisture absorption and is backed by a lifetime, no-chip warranty for added peace of mind. 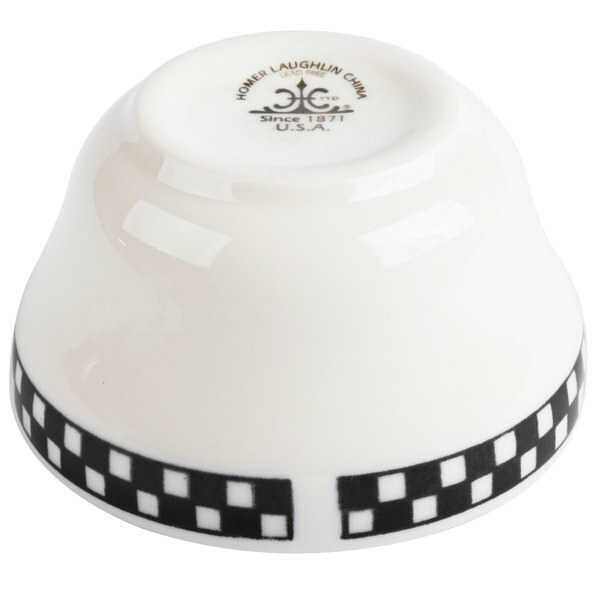 Guaranteed to add a retro, nostalgic look to your dining area, the Homer Laughlin Checkers line provides the canvas your items deserve for an authentic presentation, time and time again. 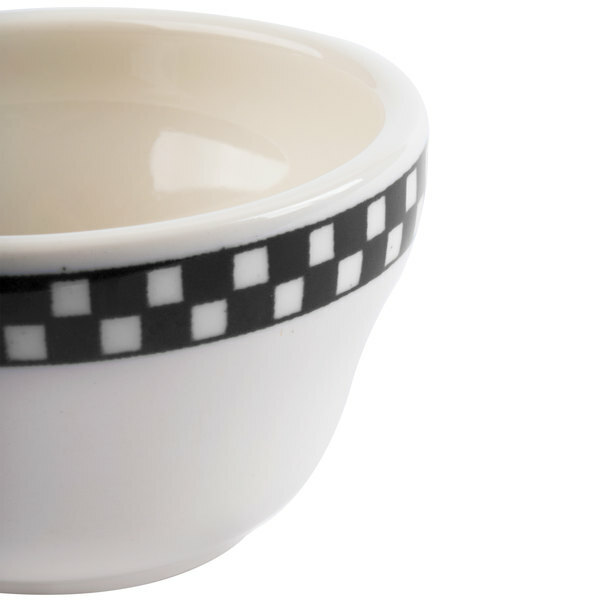 What a wonderful bouillon soup cup! A great design for small cafes and diners!! A must have addition to the rest of the Black Checkers line!